The Panasonic WV-CF294 has been discontinued. No direct replacement is available. 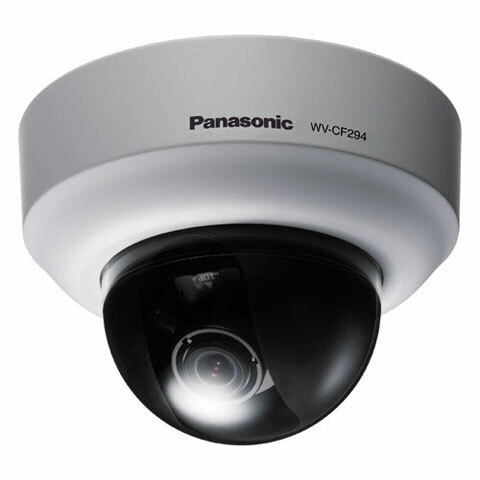 The WV-CF294 Series of compact dome cameras from Panasonic are equipped with a recently-developed high performance DSP that provides better image quality. Adaptive Black Stretch technology transforms dark areas into crisp images like those seen by the human eye. The WV-CF294 Series also provides easier installation including further accuracy and simple focus adjustment through a newly-developed Auto Back Focus mechanism. The WV-CF294 Series can be used at a variety of sites including offices, retail stores, restaurants and shopping malls.